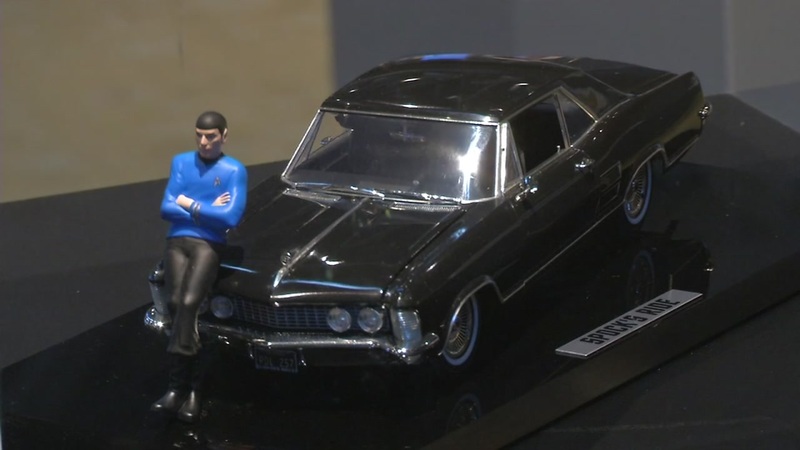 OAKLAND, Calif. (KGO) -- A Star Trek exhibit celebrating 50 years of the show has landed at Oakland's Chabot Space and Science Center. The original TV series launched in 1966 - and the exhibit has been on tour since last year. It features the creations of artists from around the world. The Enterprise and its many crews have been able to capture the imaginations of Trekkies past to those in the next generation. "It isn't dated in any political time or any particular point in American history which a lot of pop culture is," Adam Tobin said. Even Mr. Spock has a piece on display - Leonard Nimoy was a photographer and contributed this montage of Vulcan hand signs before he passed away. The exhibit opens to the public this Friday.